Diagnostic Features - worker size small to medium; bodies robust, with head massive relative to the alitrunk; palpal segmentation 6, 4; mandibles with 7-12 teeth folowing the typical formicine pattern; alitrunk not conspicuously constricted or otherwise specialised, mesonotum profile typically convex; propodeal spiracle round; petiole scale profile prominent, erect and typically symmetrical (after Wilson, 1955a: 10). 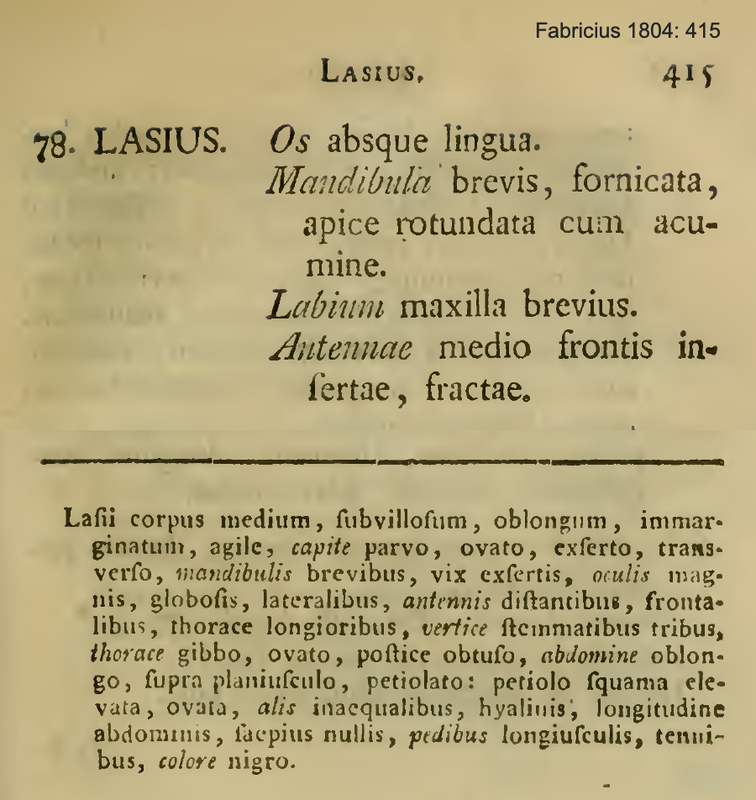 Fabricius' (1804) genus description is at . Wilson (1955a: 9) made an extensive genus revision which has been surpassed by Seifert's (1992) comprehensive revision of the Palaearctic species, this is at .